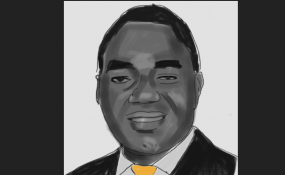 Zambian opposition leader Hakainde Hichilema. Hakainde Sammy Hichilema, a Zambian corporate executive with interests in mining, finance and other industries, has run unsuccessfully for president five times since 2006. Hichilema became a director of a Bermuda company, AfNat Resources Ltd., in March 2006, and he resigned that August, according to Appleby's records. AfNat Resources was incorporated in 2005 and explored for nickel and other metals in Zambia and other African countries. It was listed on London's alternative investment market until 2010 when it was purchased by Canadian mining company Axmin for about $14 million. Hichilema declined to answer questions from ICIJ, including about his roles as director. There is nothing illegal about a company registered in Bermuda, Hichilema told ICIJ by phone.